Starburst Slots is one of the most popular online slots around! It's full of glitz and glam, and of course big wins! Play this vibrant slot game today! 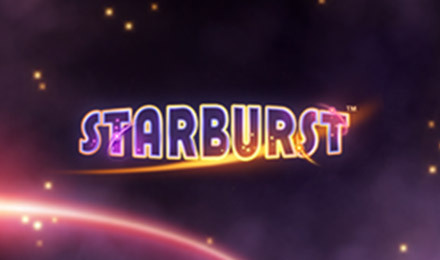 Starburst Slots is a simple game to play, with loads of winning potential. It's a 2-way win game meaning there are loads of prizes up for grabs, but if you don't win, you won't lose too much of your wager. There are expanding Wilds, FREE spins and more! It's a fast-paced game and the reels are filled with brightly shining gemstones. Good luck!